The idea for Play Me, I’m Yours came from visiting my local launderette. I saw the same people there each weekend and yet no one talked to one another. I suddenly realized that within a city, there must be hundreds of these invisible communities, regularly spending time with one another in silence. Placing a piano into the space was my solution to this problem, acting as a catalyst for conversation and changing the dynamics of a space. 100 years ago, in the UK, the piano was a major form of entertainment in someone’s home. The piano was superseded by the wireless, then television came along and finally the internet. As a consequence, old upright pianos are often unwanted now and thousands are being thrown away each year in the UK. But they are pieces of furniture people can gather around and play at once — spurring a group performance or sing along. Getting ahold of pianos isn’t too much of a problem as they are quickly going out of fashion what with the advent of electronic keyboards and the amount of space a real piano takes up together with its ongoing maintenance. Many people are trying to dispose of pianos as they can no longer afford to tune them or keep them so we get quite a few either donated or for a very low cost. 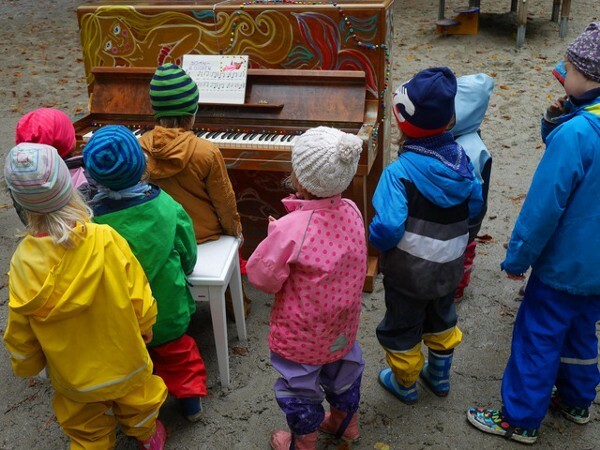 The biggest job in implementing the pianos within the cities is finding suitable locations and getting permission to site a piano in an outdoor public space. Then there’s getting the pianos fixed up, regularly tuned and properly set up. 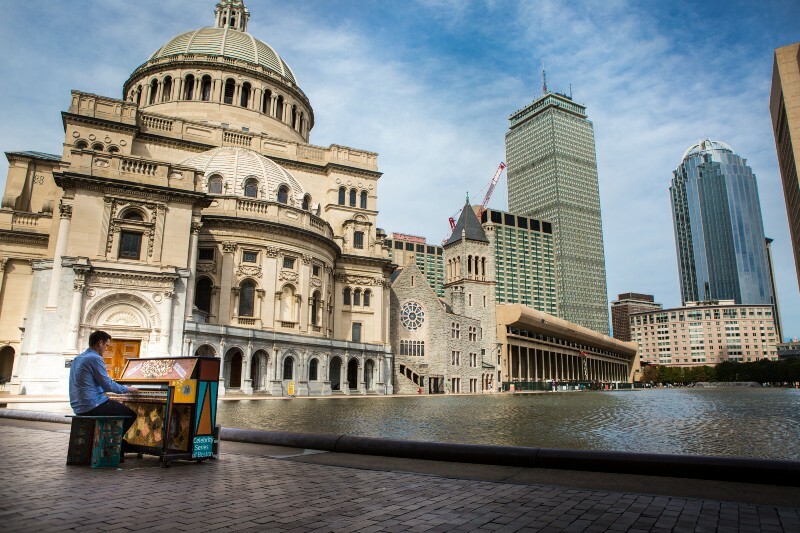 Obviously the more street pianos installed, the bigger the job, so with 60 in Boston for example, our partner Celebrity Series of Boston, did most of this work with guidance and advice from us. Many of the pianos are then donated to community groups and charities at the conclusion so they remain in the community long after the presentation has finished. We love to see how each city develops the artwork and makes it their own. 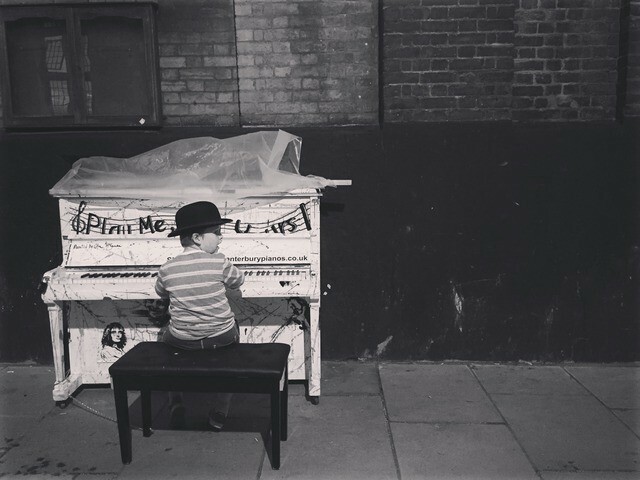 I originally thought PMIY would be a one off in Birmingham in the UK in 2008 and five years later we’ve installed over 1500 street pianos in 50 cities world wide with over 10 million people experiencing the artwork. People just love it! With regards to how we choose locations — we always work with a city partner as they have local knowledge and contacts so are best placed to find suitable locations. We give advice about the sorts of locations to choose: away from where people reside (apartments and houses) as we don’t want to disturb people in their homes, places where there’s a good footfall of pedestrian traffic — squares, parks, plazas, terraces, bridges, railway stations, airports, bus stops, outside hospitals, schools, university buildings, museums, zoos, etc. We’ve even put them on ferries for the commuters to play and construction sites, for the builders to enjoy! A local city producer has the budget or can raise funds to deliver the project. They also have the local knowledge required to select locations for the pianos, to get permits and to find local artists and community groups to decorate the piano. Generally all the pianos are sourced locally, although sometimes we have shipped pianos over from London to present the project in islands, like Malta and Puerto Rico. We’re based in Bristol in the UK so it would be impossible for us to manage the installation process ourselves. We provide advice and guidance via email, telephone and in the form of a document toolkit full of guidance, instructions and best practices — we also set up and manage the city website, www.streetpianosboston.org for example; and we visit each city to help with the installation and launch. 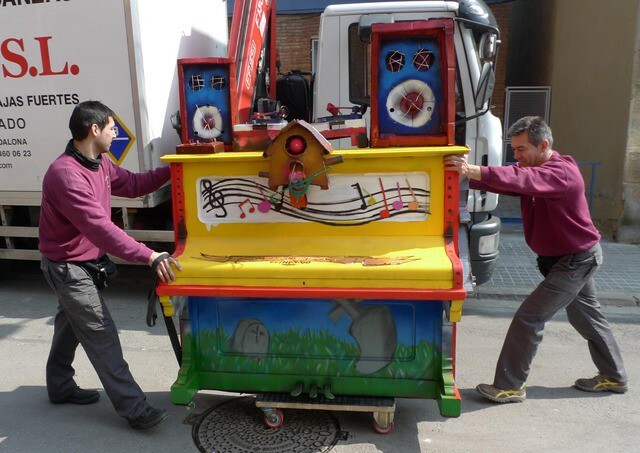 Each city is unique — the way the pianos are decorated and how the public engages changes from city to city. In Santiago de Chile, there was a definite Latin feel to much of the music people played. In Barcelona, the piano decoration was a big graffiti project. In Austin, TX, the pianos were used to host line dancing events. Budding musicians in New York City, treated the pianos like a giant XFactor competition. They filmed and promoted themselves to be discovered. In Los Angeles, there were many videos and posts from out of work actors and wanabe-performers! In some cities our partners are presenting the project as part of wider activity, for example in Melbourne, the Arts Centre wanted to engage with new audiences and in Paris our partner organizes a series of micro-concerts. Most cities have artists transform the pianos, but in Geneva they have never painted them and are keen to keep them plane. 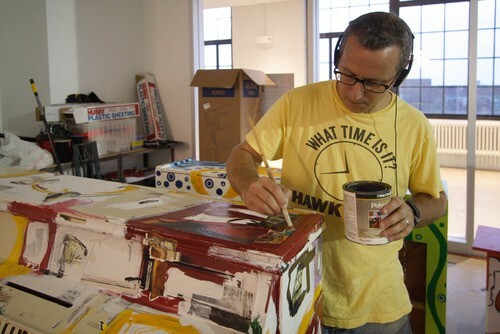 Each city producer selects the groups and artists that decorate their street pianos. They all have their own criteria, sometimes they are already working with local community groups and they want to build on these relationships and other times they put a call out to find artists. It’s as much about the similarities as it is the differences. Everywhere we present the project people get it almost immediately — they just want to play or listen and those social barriers start to break down, people start to chat with strangers and make new friends. This project changes the way people interact with one another in a city. A few marriages have occurred where strangers have met over the piano and fallen in love! The best bit for me is checking out the website every couple of days selecting video and photo highlights — I get to see the joy and fun people have with the artwork and how it breaks down social barriers and brings people together. The pianos are enjoyed by everyone — young guys into hip hop and elderly folk who follow classical music and everything in between. 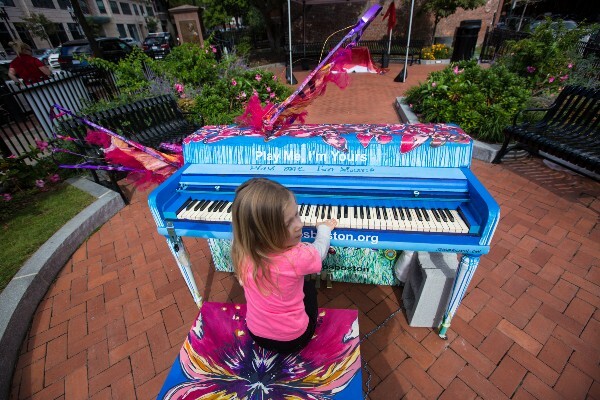 The pianos work as a visual arts trail and a musical one too. ‘Play Me I’m Yours’ can help to build a sense of pride within the community and it brings different neighborhoods together. It really reflects and promotes all of the different artists, groups, communities involved in the project and enables individuals to feel part of something. Some people have developed successful careers off the back of the artwork (recording contracts, etc). I also have a few dedicated followers who call themselves ‘piano pilgrims’ and follow me round the world to try and play as many of the pianos as they can. For me, one of the long term benefits is that all the artist, groups and organizations that have been involved in the project have links that they didn’t have before the project and this often leads to new relationships and projects too. The artists brought together in Toronto for Play Me, I’m Yours have decided to start their own studio. 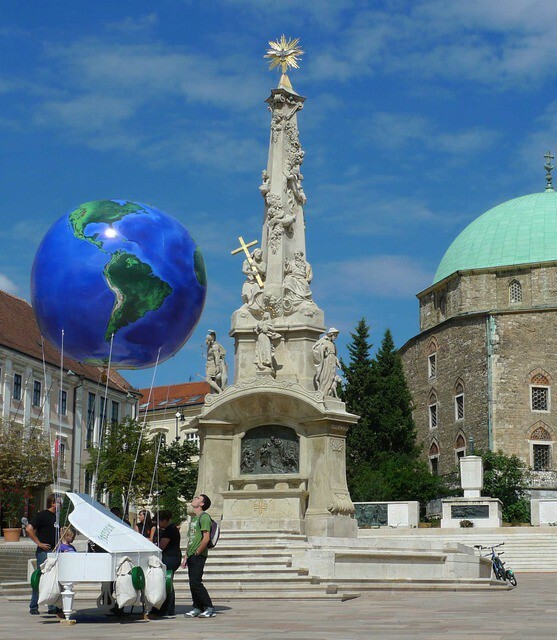 As the piano project is tried and tested, its often used by cities as a test bed for this kind of large scale temporary public artwork. One of the legacies in a city like Hangzhou, China is that it’s shown the city that this kind of event has a value and can work. Nothing like this had been done before in Hangzhou, so it’s opened the door to other arts projects in the city. On the streets, the artwork connects people and works its magic. Most people don’t play the piano in order to make a YouTube film. I believe most encounters with the piano aren’t filmed/photographed, but when they are, the vast majority either stay on peoples phones, or get lost on YouTube. Only a small percentage get shared on the street pianos websites. My favorite film though is from Santiago. This homeless man (ex-pianist) opened up like a flower as he reintroduces his hands to the instrument…. I think it is great this encounter has been shared by 800,000 people around the world rather than just three people standing there. 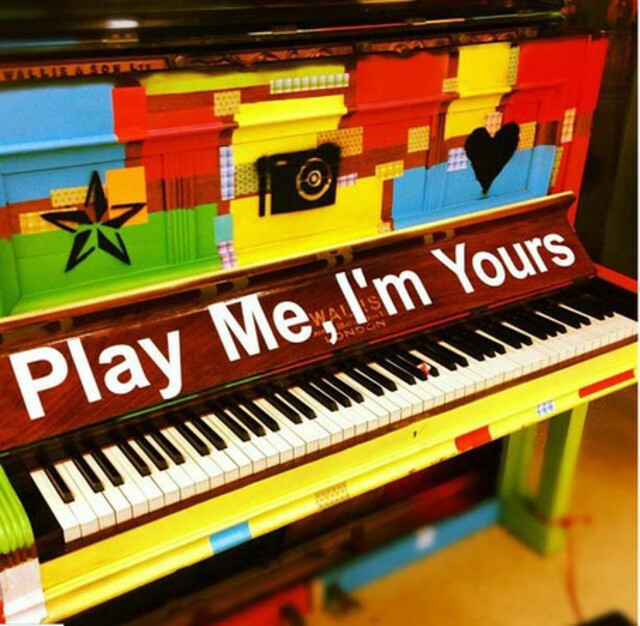 Each piano acts as a blank canvas for the public’s creativity ‘Play Me, I’m Yours’ provides access to this wonderful musical instrument and turns ordinary musicians who may play at home, into street performers! . They entice many hidden musicians out of the woodwork. It has become apparent that there are thousands of pianists out there who’ve had training in the instrument, but don’t have regular access to a piano. So this project is also for them. 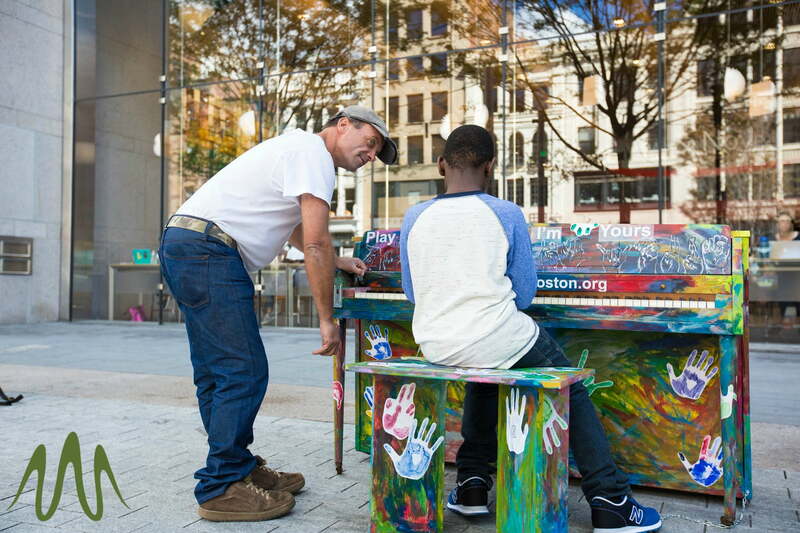 The reason we brought back Street Pianos was because of the tremendous response we had from all corners of Greater Boston when we produced it for the first time in 2013. 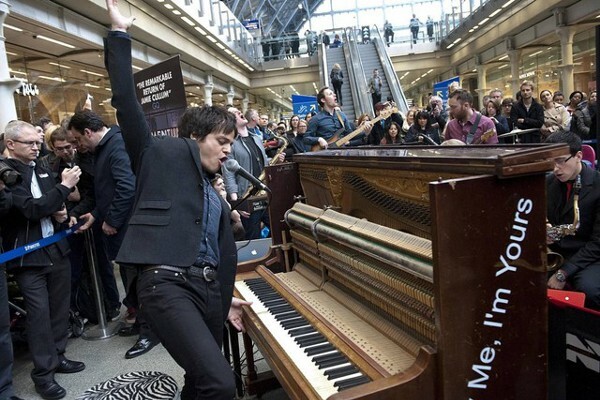 Over a half million people, played, listened to, ad engaged with the pianos. The calls to have Street Pianos return have been steady ever since then. When presented the opportunity, I think Bostonians have shown an eager interest in public art (and in our case public performance art) and the benefits of participating in the arts. Celebrity Series made a conscious choice as the producer not to program the pianos, but to let the public decide how to use them. We’ve been delighted to watch our neighbor’s stage concerts or dance performances, to arrange bike tours of piano locations and to activate them without any instructions. 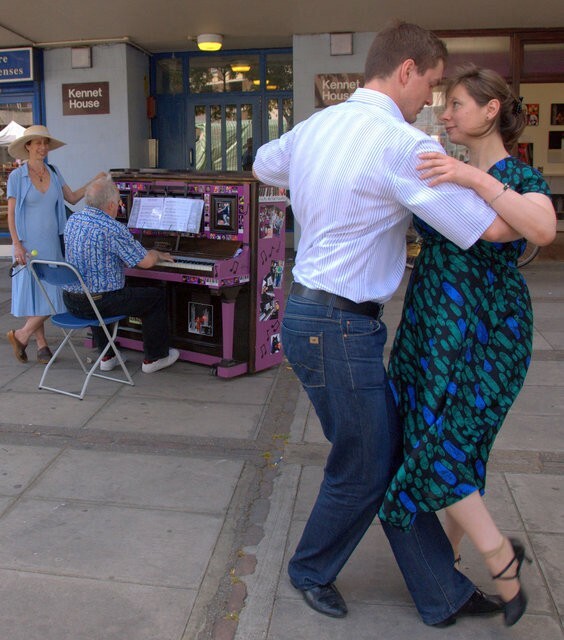 Even though the much-needed rain has meant the pianos are covered sometimes, the number of uploads of photographs and videos and posting on social media shows us that the pianos are being welcomed back with just as much enthusiasm as they were the first time. What is so inspiring about this project is that it stems from such a simple premise — an invitation of Play Me, I’m Yours. From that has come daily, if not hourly, demonstration that the arts are for everyone. We may not turn out to be world-class artists giving recitals at Symphony Hall, but we can participate and have art in our lives every single day. That, I think, makes us a better city. PreviousTim King: Is There Any Hope For Rock Music?